Hi Sharon, I’ve been following your blog and finding it helpful in my own challenge. I quit drinking Coke!!!! I can’t drink alcohol due to medications I take for fibromyalgia. I stopped the soda a week before Christmas and I have also altered my diet, omitting all dairy except butter, pasta and bread to attempt to improve my mental health. I have lost like 16 lbs and am finding I’m at a “plateau” myself. I have repeatedly tried using my elliptical but even the minimum of 2 min twice a day is extremely painfull. Then the weather wreaks havoc also. Ok enough said. Just wanted to say your blog is helping me in a way I hadn’t expected. A goal is a goal no matter what you have to give up to get it. Mine is to have better mental health without meds and to loose weight to feel better about myself. I often want to just give up and treat myself like with a soda but I think about the cup of sugar it contains and so far has worked. Not as easy with no milk, cheese, pasta etc. I love to cook and bake so it’s been a challenge to come up with new recipes. I do feel that journaling meals and your day in general is beneficial, but for me really really hard to be consistent. I also try and write down 3 good things that happen every day, even if it’s I took a shower. I appreciate your challenge and wish you lots of luck. And look forward to your next post. Sharon, your project is both gutsy and helpful to others (me). I wish you lots of luck. Thanks! I worked with a guy who was way overweight, He obsessed over it, and would try weight-watchers and other things, with only limited success. After a couple years of this, I was beginning to feel a bit pudgy myself. He and I became ‘diet buddies’. Every day, we would tell each other, with complete candor, what we had eaten the night before, and thus far in our work day. It worked amazingly well. I took off 18 pounds, and he, I don’t remember but probably 60 or more. 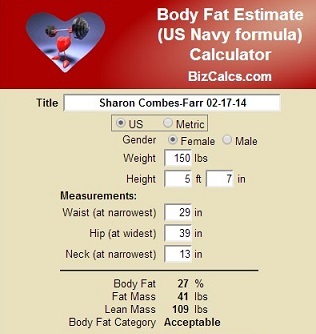 The most pertinent thing for me was, I learned for the first time what my ‘ideal weight’ was, 144 lbs. At that weight, I felt great. Never better. If I took off a couple more pounds, I would feel less strong.